The first baseball game that you kids play is an exciting time for a parent. There is no better feeling than watching your child run around and enjoy a game of baseball, especially if they are pretty good! It is also an exciting time for the child, which is why they should be ready from ball one. Their first sporting experience could dictate how they view sport in the future and set the wheels in motion for a healthy relationship. Or, it could force them to resent the game. Here’s how to prepare them for their first time. Although kids might think otherwise, they don’t need all the latest gadgets to play baseball. Just because A-Rod has a certain glove or bat doesn’t mean they need one, too. What they do need is the kit that fits them perfectly, and that makes the game more comfortable. Baseballmonkey.com has a great selection of youth baseball cleats, as there is nothing worse than running around in cleats that rub and cause blisters, or a glove that is too big. The wrong kit makes it harder to perform well and enjoy the game. When it comes to gloves, Youth Baseball Gloves has a great selection. They don’t do bats, so you will have to look elsewhere, but bats are easier to find. And cleats just have to be the right size for their feet. It’s all simple stuff, yet it makes a massive difference. Parents don’t put pressure on their kids intentionally. Because it is their first time, parents tend to cover all bases without thinking. In the end, they provide too much information for the child to remember. The child then starts to panic that they are not going to do everything right, which sets them back in their development. Are you one of these parents? There is nothing wrong with admitting it because you have their best interests at heart. Maybe try and simplify the game so that they understand it better and have a great experience. No kid should be reading Michael Lewis’s ‘Moneyball’ the day before the game! Kids tend to be active, so their fitness levels are quite high. 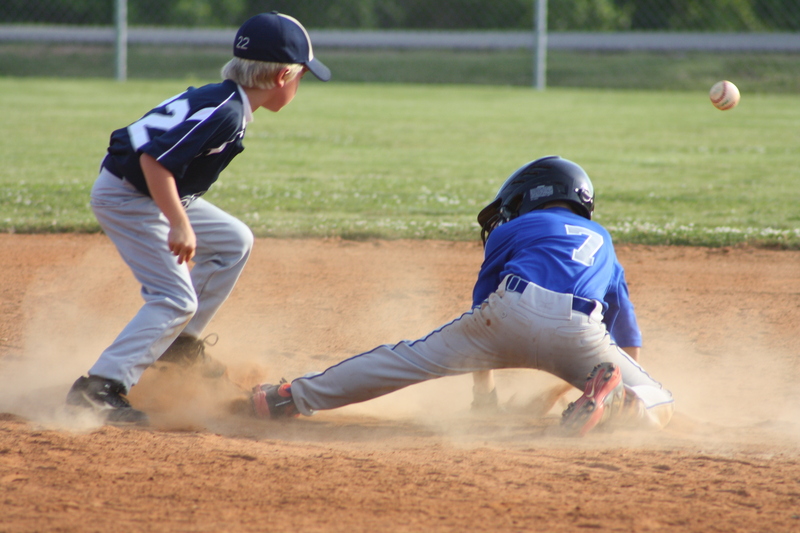 Some kids, however, are not that active or fit, which may be the reason they are playing baseball for the first time. No one is saying you should take them on a cross-country run to get them fit because they are only kids. But, you can sneakily boost their fitness with a dress rehearsal in the back garden. Start a small game in the backyard to get them running around and used to the rigors of the America’s favorite pastime. There is a lot of emphasis on winning in the twenty-first century. For professional athletes, that emphasis is perfectly acceptable. For children, it is over the top. You want to encourage them to play sport on a regular basis and enjoy the benefits of the game. The only way to do that is to let them know that the result doesn’t matter. As time goes by, they will naturally become more competitive and start to care about winning and losing.